Someone at CNN.com, specifically CNNMONEY is a huge perv and apparently hasn't heard this joke 100 times before. 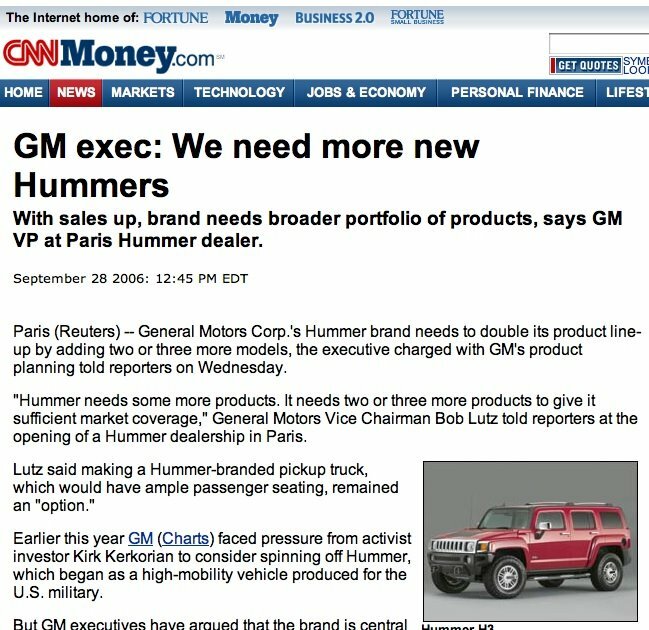 ...where we see the actual headline and quote is that they need "NEW" hummers, pretty much killing the way the "we need hummers" joke reads. 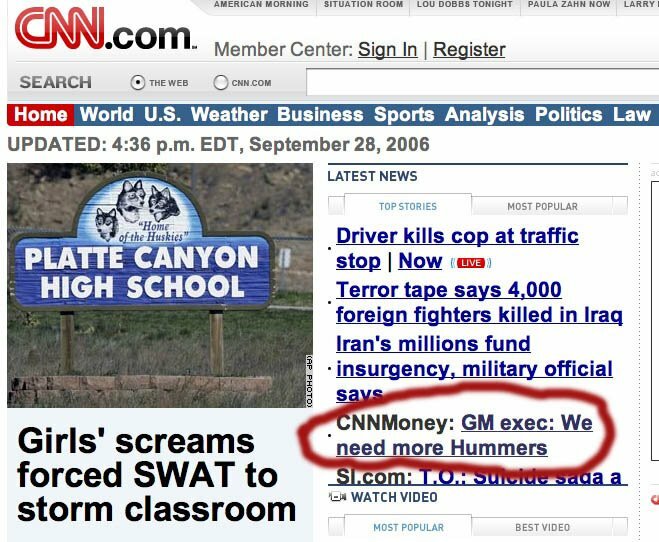 Yes a big joke playing with a headline, no way anyone will notice, right? Wrong. Perv watch notices and you are busted. 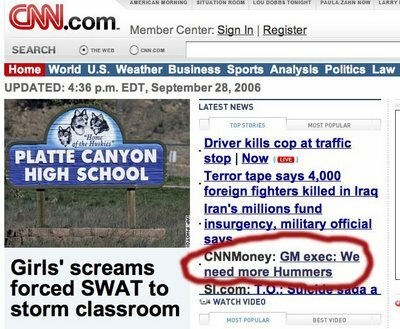 Hey CNN.com guys, get back to work, pervs!